Now available in its entirety through Amazon and Lulu! After a series of atomic blasts force Beatrice Hicks and her family into their prepper bunker, they emerge to discover they are among the survivors of a nuclear apocalypse. Fighting against rogue groups and coping with deaths are just some of the adjustments Beatrice must make to survive, but how will she maintain her humanity after the blast? Book 3 of the Burning series: the sequel to Dust and Ashes. The earth is no longer bound by the laws that once existed. Humanity is not contained to the desert domes as was once believed, but rather has begun to flourish throughout their broken earth. Diseases and desert monsters are among the least of the planet's worries: warfare waged in shadows, however, is another matter. They are all pawns. They are all players in this nasty little game that will never truly end. Look back on the mess you've made, darlings. This will be your legacy, if you let it. Will you let it? ALL IS SILENCE finished #37 of 151 for Wattpad's Story of the Year! Also a WATTYS 2015 - Dream Collections Winner! Thanks to everyone who added me to their collections! You made my year! The sequel, STRAIGHT INTO DARKNESS, is available in print and e-book on all major ebook sites. If you are interested in hearing about special deals on this or any other works, please sign up for my monthly newsletter at www.desertedlands.com. #1  in Science Fiction - 57 days so far! Thank you, readers! In a world where there is plenty of food, plenty of gas, plenty of space... fear, anger and a lust for power still control the patterns of human life. This coming of age, edgy young adult novel is the debut of a former alternative high school teacher. If you like this, try Toils and Snares, a Deserted Lands novella, sampled on Wattpad. It's been five years since the plague struck. Leah knows there are other survivors but she's avoiding them. She is doing just fine on her own. Surviving after everyone she knew died has made her physically strong and honed her intelligence, but she is emotionally devastated. There is nothing to fear if you don't make yourself emotionally vulnerable. James has spent the last five years helping to build up a colony of survivors. He believes in the small town they have populated and its mission to save humanity from extinction. He and his small team of men find scattered people and bring them in. He's been searching the area Leah lives in. Her time of solitude is up. Leah sparks something in James he's never felt before. He's not letting this one get away, certainly not twice. In the space of a few hours, Harley Sawyer's world is turned upside down. Ripped from everything she knows, her and the majority of the UK are forced to fight for their lives when a mystery virus kills thousands upon thousands of people. With no cure and more people becoming infected by the minute, the world begins to face a pandemic like it has never seen before, with no means to stop it any time soon. From the author of THE BLAST and THE DEATHLESS TRILOGY comes a book of short stories about the Deathless characters whose stories deserve to be told. This book features stories focused on the trilogy's secondary characters, providing insight into how they became the people we meet in THE DEATHLESS TRILOGY. 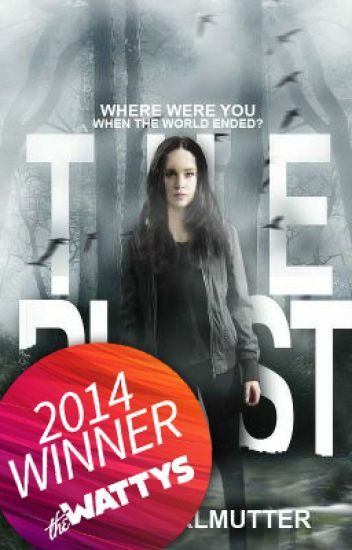 Seventeen-year-old botanist Isla Blume believes every life deserves a chance to survive, even in the apocalypse. So when collector droids kidnap her mom, she knows she has to fight back to save her life. No one returns from being collected, not even her boyfriend Daniel, and after a failed attempt to combat the droids, Isla is captured too. Just when she's sure she'll suffocate inside one of the droids, a group of renegade scientists, the Deathless, save Isla and her mom. They tell her that that droids have been harvesting survivors as forced labor for the government. After learning Isla's name, the Deathless become suspicious of her, and soon she hears why: A familiar voice to Isla repeats over a transmission from the bunker, "Find Isla Blume." Determined to reconnect with those she's lost, Isla faces her fear of fighting and joins the Deathless' first attack on the government. If only she could trust them to help her. A Wattpad featured story! Follow Isla's journey through post-apocalyptic US with the trilogy! Now you can read the whole trilogy here, including bonus material and extras! For the complete Deathless experience, read THE BLAST and STORIES OF THE DEATHLESS too! The second book in the Deathless Trilogy! When Isla Blume wakes up to find herself in an unfamiliar place without the rest of the Deathless or any way of contacting them, she will have to find the courage and self-confidence to become the hero an entire estate of people need her to be. But as Nietzsche said, "Whoever fights monsters should see to it that in the process he does not become a monster." Can Isla fight to save herself, Daniel, and her new followers without becoming the monster Gunther Quail wants her to be? Or will she lose herself completely? "I live in a place called Compound 4. We are one of ten different compounds placed at strategic locations around the US. It's been thirteen years since the virus overtook humanity, turning about ninety percent of us into zombies. I'm not sure how it started exactly; that's classified information. I do know that in order to save what was left of the human race, the president at the time took a bunch of really smart people and kids and relocated them into new 'protected' cities. My father was one of those really smart people. I was only five at the time, but I knew what was happening." Within the walls of the compound, Jay makes stupid mistakes, mistakes even she doesn't understand, putting everyone inside at risk. All because she can't shoot someone. All because she misses the wind in her hair, the flowers on the hillsides, the sound of crickets at night. All because she's different, the only person untouchable by the Virus. When the mistakes begin to duplicate, and a girl shows up who knows her name, everything begins to change in Compound 4. Cousins Esther and Tempest have been separated by cities, countries, and continents all their lives; but now, when both girls need each other the most, they are separated by lightyears. Tempest is stuck on a vessel to Janus, forced into keeping the peace with an arranged marriage. Meanwhile, unaware of Tempest's whereabouts, Esther sets out in search of the only family she trusts anymore: her cousin. A serial novel of adventure, romance, suspense, and science fiction set in the universe of THE BLAST and THE DEATHLESS TRILOGY. The pandemic was just the beginning. After an unknown virus sweeps across the globe, Aurora and two other survivors seek out safety in a bomb shelter with enough supplies to last a few years. Just as she starts to adapt to her new way of life, she is suddenly abducted by those responsible for introducing the disease, and is taken farther from home than she's ever been before. She doesn't know what they want from her, but she soon discovers the truth: about her captors, the universe, and who she really is--a reality that leaves her breathless.